Sale Save $20.00 per piece no code needed. New Enzo Milano's ergonomic design and even heat distribution creates the finest curl pattern within seconds. Now you can buy the base and different size heads separately!!! The 13mm iron produces 1/2 inch curls and the 19mm produces 3/4 inch curls. The heat resistant glove is included for easy maneuvering around the rod. 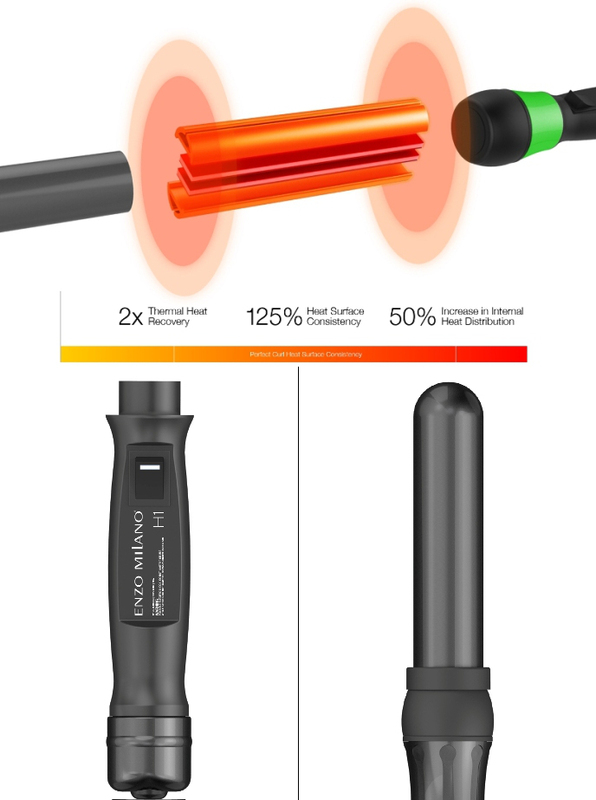 Experience the ease in creating flawless curls with the most innovative iron out on the market.